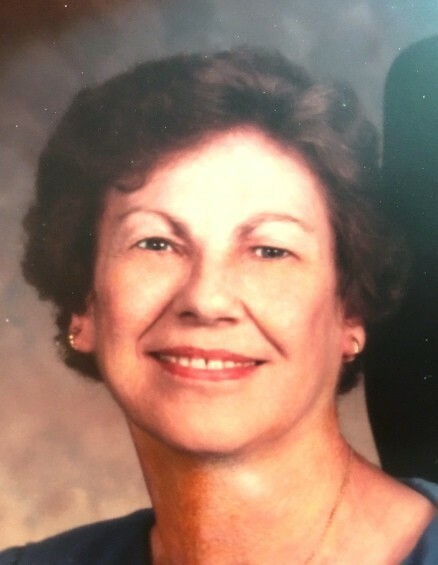 Obituary for Annetta Hamilton Sampey | James C. Stump Funeral Home Inc.
Annetta Hamilton Sampey, 96, of Pleasant Hills, formerly of Rostraver Township, died Friday, July 6, 2018 in the Baptist Homes of Western Pennsylvania. Born in Dorset, Ohio on December 11, 1921, she was the daughter of the late Donald and Pauline (Giddings) Hamilton. A homemaker, Annetta was an avid bridge player; she and her husband Paul played bridge together and bowled for many years. She loved reading, working crossword puzzles and assembling jigsaw puzzles. She enjoyed watching "Jeopardy" and was quite happy when she came up with many answers. She was also a great pie baker; her lemon meringue was the best! She volunteered with the Girl Scouts and the Rostraver Public Library and was a member of the Mon Valley Chapter of the National Society of the Daughters of the American Revolution. She is survived by her daughters, Joyce Cline of Rostraver Twp., Kathleen (George) Whitfield of Summerville, SC, Paula (Tom) Fultz of Landisville, PA and Diana (Dr. Theodore) Paladino of Jefferson Hills; grandchildren, Annette (Mike) Boyer, Brian (Jennifer) Georgulis, Christopher (Amy) Georgulis, Heather (Patrick) Davin, Matthew (Debbie) Whitfield, John Paul (Traci) Cornwall, Dr. Lauren Paladino, Hilary Paladino and David Paladino; 11 great grandchildren; 2 great-great grandchildren and sister, JoAnne Labry of Ashtabula, OH. In addition to her parents, she was preceded in death by her husband, Paul G. Sampey on May 7, 1995; sister, Ruth Yoder; and two brothers who died in early childhood, Willard and Donald Hamilton. Friends will be received on Wednesday from 4 to 8 p.m. in the James C. Stump Funeral Home Inc., 580 Circle Drive, Rostraver Township (724-929-7934) www.jamesstumpfuneralhome.com where a Memorial Service will be held on Thursday at 11 a.m. with Pastor Megan Berkebile officiating. Interment will follow in Belle Vernon Cemetery.